US 50 to SR 56 thru Rising Sun to straight onto SR 156 to property on right. 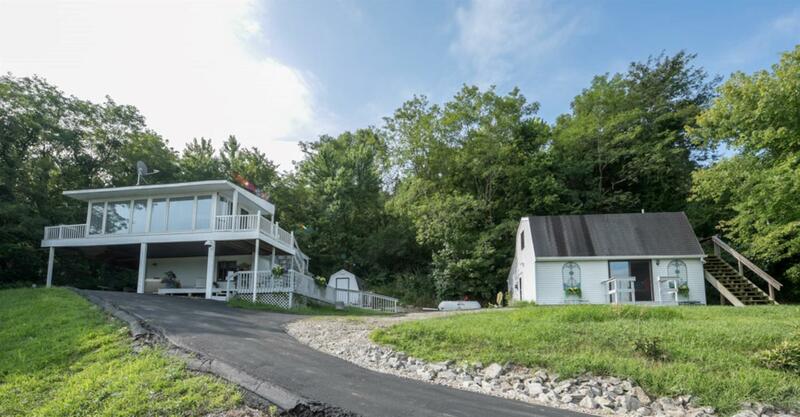 Situated on the Ohio River, this property is great for vacationing or weekend getaways, or live in full time! Property has 2 houses, possibly for the extended family? Price also includes a 2-story barn/garage w/electric & workshop. Party central - 3 decks, extreme LED lighting for outdoor fun day or night. Property has 300 ft river frontage.